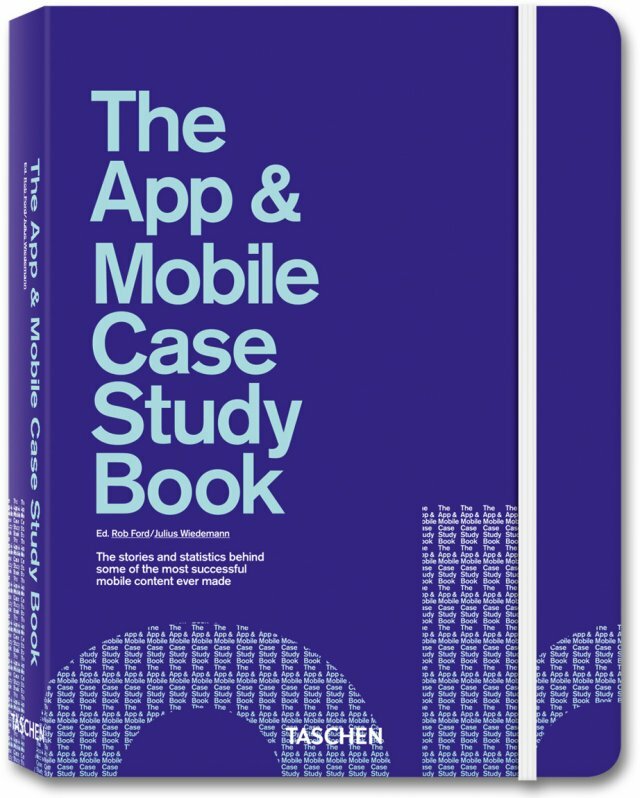 The App & Mobile Case Study Book is like a giant ‘top apps’ story that brings together all the blog posts and newspaper articles on the best mobile apps into one exhaustive list. At 194 pages long, it’s a comprehensive catalogue of case studies featuring over 80 mobile apps and projects. Well illustrated and easy to read, the hardcover book covers five different mobile categories – gaming, m-commerce, promotional, social and utilities. For each case study there is a detailed idea-to-market run down, covering the creators, awards won and then the case itself: The Brief; The Challenge; The Solution; The Results. Download and usage statistics are presented upfront so you can see what results were achieved easily and quickly. And some notables, like Steve Jobs and Stephen Fry, chime in with their own thoughts on the apps throughout. It is a great source of ideas and inspiration for those operating in the mobile space, with pictures illustrating the apps and links out of the document to access download links for all available devices, video demos and more information. It presents a global picture of the app market place, unearthing big players but also local gems that have turned great ideas into runaway success. Its publisher, Taschen, has aimed to turn its case study series into historical references, so that it stands the test of time. Having been compiled in December 2010, it is arguable whether this has been achieved, particularly in such a fast moving area as mobile. With the mobile space so heavily influenced by gaming, the book begins with game apps. Joe Wee of Chillingo, who has published a wide range of successful titles on Apple’s App Store including Angry Birds and Cut the Rope, introduces the chapter and gives insight into where mobile gaming has been, where it is now and where it might be going. Chapter two is all about m-commerce and is introduced by Ian Wharton of Zolmo, makers of the record-breaking Jamie Oliver’s 20 Minute Meals app, which the chapter leads with. This chapter covers apps, mobile websites, iAds and an iPad advert. One of the apps in this chapter, The Elements: A Visual Exploration, shows the true power of mobile with net revenue in the first six months of US$1 million. Chapter three focuses on promotional mobile projects and is introduced by AKQA’s chairman, Ajaz Ahmed. This chapter kicks off with the Nike True City app, which was the first iPhone app ever to be awarded an FWA Site of the Day, which Nike launched in support of the re-release of the classic and updated AM1 shoes (in 1989, Nike designer Tinker Hatfield created the original Air Max 1). This chapter covers everything from the official The Rules of Golf app, Stephen Fry’s own app and the only app ever to be seen on Oprah (Alice for the iPad). Social is chapter four and gets introduced by the founder and CEO of TweetDeck, Iain Dodsworth, who delivers a case study on the Android version of TweetDeck. You’ll find another eclectic mix with some famous case studies for Flipboard and Foursquare, plus one astonishing example, The World Park, which used QR codes and image scanning to create awareness and engagement for New York’s Central Park. The final chapter is on utilities and introduced by Remon Tijssen from Adobe. Utilities could really be called miscellaneous as this chapter includes a wide variety of mobile projects. Remon talks about what utilities always were recognised as and what they are now considered to be. As with all the chapters in the book, this one begins with a case study connected to the person who wrote the chapter introduction, so this one leads off with Adobe Ideas. The third in in a series which includes Guidelines for Online Success and The Internet Case Study Book, this book provides a best-in-class look at apps and mobile executions. It is a rich source of information for anyone operating in the mobile space, with examples from iPhone, Android and various other platforms, as well as web apps. Be sure to read page eight which shows a key to the icons used in this book to help you quickly identify which devices each app or mobile project is available on and whether or not there are additional items of content available to view, e.g. video demonstrations.